Have you ever cleaned the house, made a home-cooked meal, dressed up, set the table, and forgotten to invite guests? Probably not. 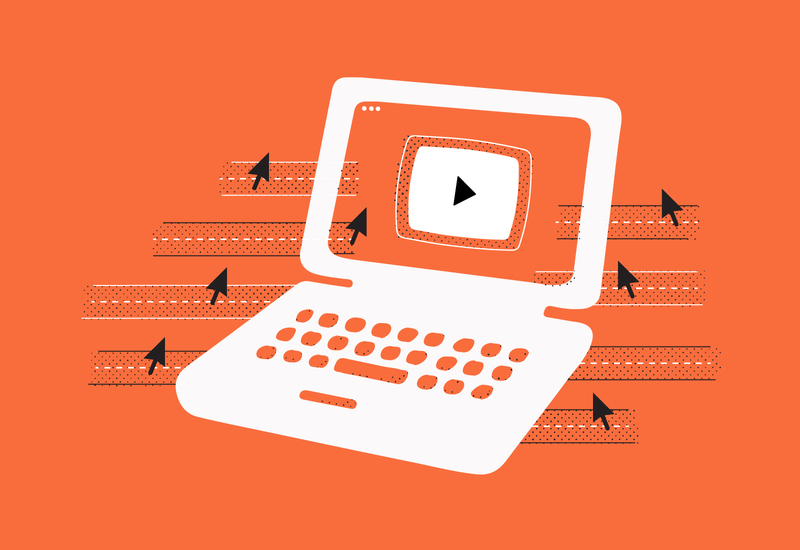 So why does a similar scenario happen more often than not when it comes to video promotion? You’ve spent weeks planning, filming, and editing a pretty fantastic video, but no one seems to be watching. Don’t get down on your production skills — it’s much more likely that you haven’t taken proper measures to distribute and promote your videos. You’re probably thinking, “So … How much does this cost?”. Well, it turns out there are several ways to increase the views on your videos without breaking the bank. Here are twelve budget-friendly tips to help your video get the attention it deserves! Possibly the easiest and smartest way to gain exposure for your videos is to send them out to people who are already engaging with your brand. You have their email for a reason, whether they filled out a form or subscribed to your newsletter, so you should be sending them your best stuff (e.g., your videos!). 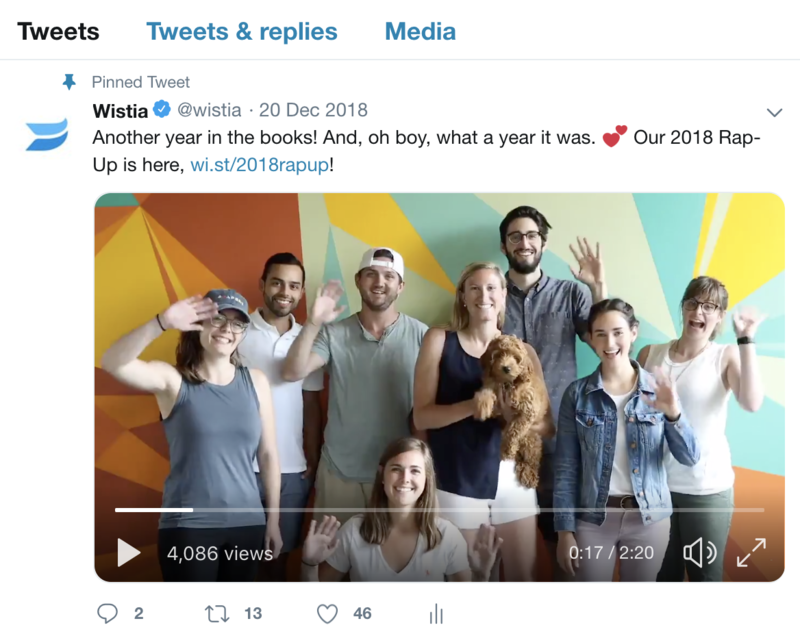 Unfortunately, you’re likely to run into many technical issues if you try to embed videos directly in your emails, but there are tools like Wistia that will allow you to use video and email together effectively. 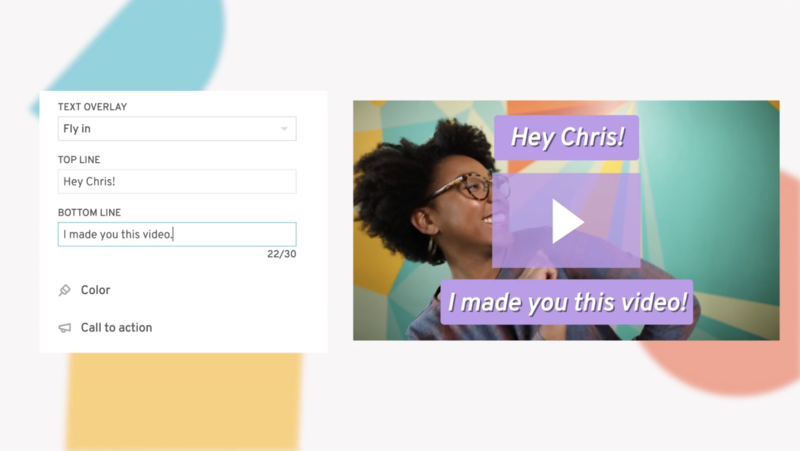 With Wistia, you can paste the email merge tag of your video in your email provider to display your video’s thumbnail, and direct viewers to your video’s landing page — voilà! Since you’re (hopefully) not buying email lists, and likely already doing some form of email marketing, this promotional strategy will help you gain exposure while also keeping your wallet happy. Research also shows that using the word “video” in email subject lines boosts open rates by 19%, click-through rates by 65%, and reduces unsubscribes by 26%! Let’s start with the bad news: your chances of getting high visibility to your organic video posts on social are slim. On the bright side, you can frugally advertise on both Facebook and Twitter with controlled budgets and targeted audiences. You can achieve a huge surge in video views with a very small budget if you set up your campaigns properly. In both platforms, you can set up campaigns with the goal of driving video views. By specifying a total and daily budget and specific time-frames to run the campaign, and targeting insanely specific audiences, you can effectively reach receptive viewers. For instance, you could target women farmers between the ages of 23 and 31 who frequently purchase imported beers. Keep in mind that over-targeting could eliminate the potential of anyone seeing your ads, so find the sweet spot of identifying your potential leads based on what you already know about your audience. You can also upload a list of current customers or create a lookalike audience to find people similar to your current customer base. Looking for some serious inspiration? Check out all the advertising tips we learned from running our biggest video ad campaign to date! It feels silly writing out this tip because it’s so simple and seems obvious, but it’s also one that marketers tend to overlook. Clearly linking to a page in an email signature won’t cost you a dime and the effect it will have on increasing views could be significant, depending on how many people you have interacting with leads and customers. Most sales, marketing, and support teams have tons of conversations every day, and you should promote your video content during these interactions. We do this at Wistia all the time! For example, last year we held a virtual conference called CouchCon, and one of our goals was to ramp-up attendance. So, most of our customer-facing teams updated their email signatures to encourage people to click through to register. Here’s an example from Keara, a member of our Customer Success team. This tip is a triple threat — it’s easy to implement, free, and effective. Another easy and free way to gain higher viewership is making it as easy as possible for viewers to share your video. If it’s as good as you think it is, then others are likely to think so as well, and they’ll hopefully be compelled to share it. Digital publications are masters of the share button. You just have to check your favorite news site to see this tactic in action. 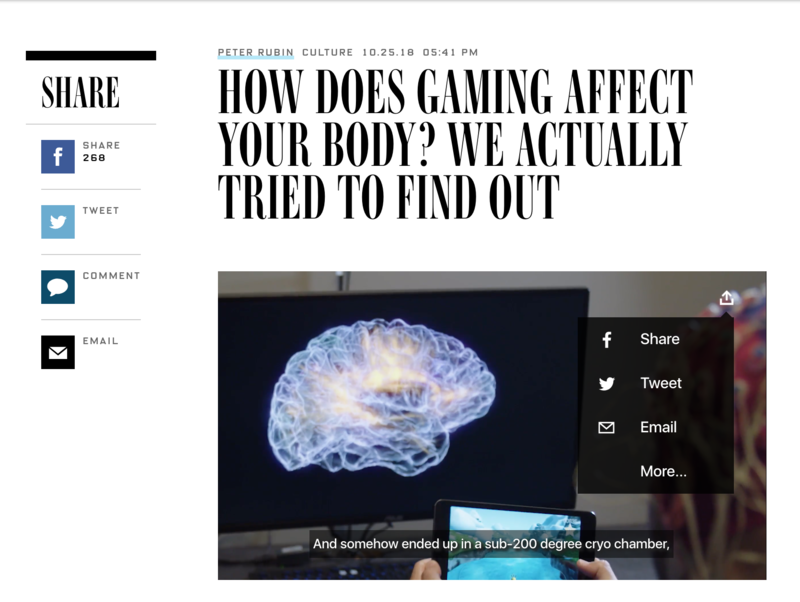 For instance, check out this video from Wired, where share buttons are included in the video player and on the article page. 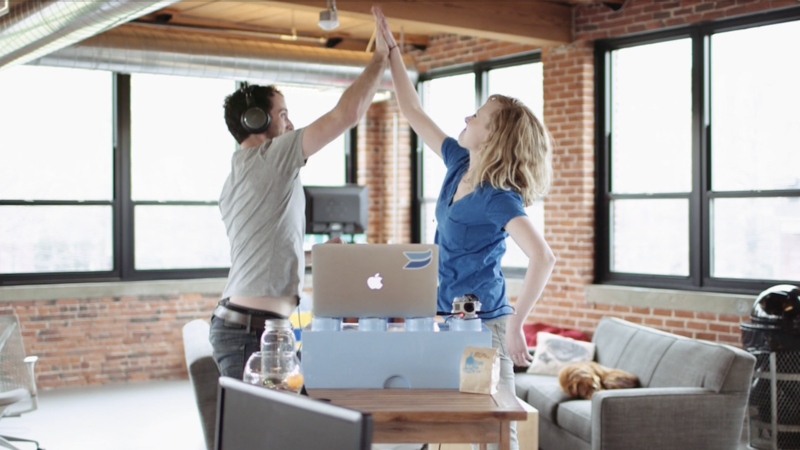 If you’re using Wistia, you can add a “share” call to action at any point in your video. Read our guide to video calls to action to find out more about the strategy behind adding links to your marketing videos. The higher your video is on your page, the higher the play rate will be. This isn’t terribly shocking, but we got confirmation of this after testing 95,000 landing pages. Check out the snazzy graph below, which demonstrates that videos higher up on the page generate higher play rates. 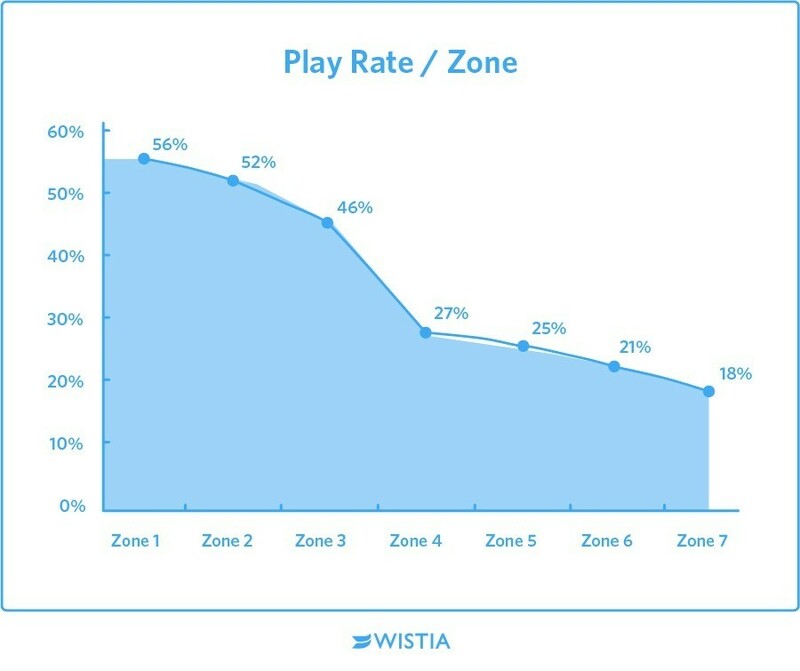 For more context on the “zones,” read our post on increasing play rates. Promoting your video content doesn’t have to be restricted to outside your website. You likely have high-traffic pages, like your homepage and “About Us” page, where you’re not showing off your videos. Don’t be afraid to embed videos on these pages. Often, you’re actually doing your visitors a favor by helping them consume information in a more efficient and entertaining manner. Pinning a tweet ensures that your content stays front and center of your account and gets the highest level of exposure. Twitter comedians pin their best jokes, politicians post their responses to recent events, and celebrities plug their projects or charitable causes. When you’re proud of your creations, give them the top placement on your feed, so people know where to look. Buffer found that pinned tweets lead to a 10X increase in conversions. This is a free and easy way to drive more video views, so pin it, and watch the plays flood in! We recently pinned our year-end “rap-up” to the top of our Twitter page, so head over there to watch the video in full. Instagram is now the third most-popular social media app, and Instagram Stories is its most engaging feature. These instant, bite-sized updates are like candy for the brain — easy to digest and endlessly watchable. Posting a clip of your latest and greatest video to Instagram (especially Stories) is a great way to build up anticipation and get the word out about new content. Of course, as we mentioned earlier, getting a lot of traction with organic content is tricky if you don’t have a dedicated following already. You’ll have more success if you’re already active on Instagram and have a presence on the platform, but even if you don’t, you can experiment with targeted ads in the Instagram feed or in Stories. It’s easy to narrow in on your ideal audience using the Facebook ads manager, set a modest budget, and let ads run. If you’re looking for a quick way to jazz up your video ads and grab viewer attention, you can use a video template for sizing, effects, and animation, cutting down editing time to a whopping five minutes. 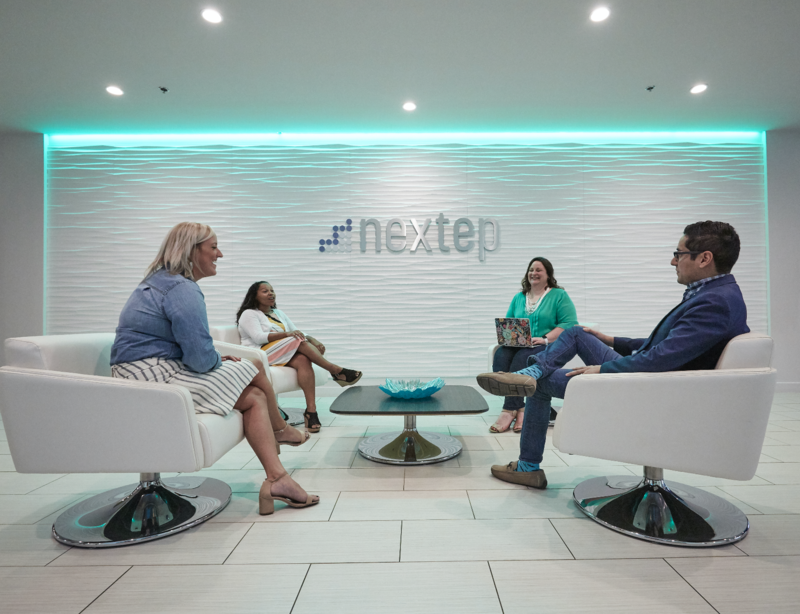 Tweet threads are one of the hottest social media trends for business leaders right now, and you should definitely hop aboard the train. A tweet thread is just a series of short thoughts linked together to tell a story. To make a tweet thread, just use the “+” button when composing a tweet. A thread allows you to tell a story sequentially, creating more context and suspense than a one-off tweet. So you can build up to your video by teaching readers something, and making a convincing argument for why they should watch. 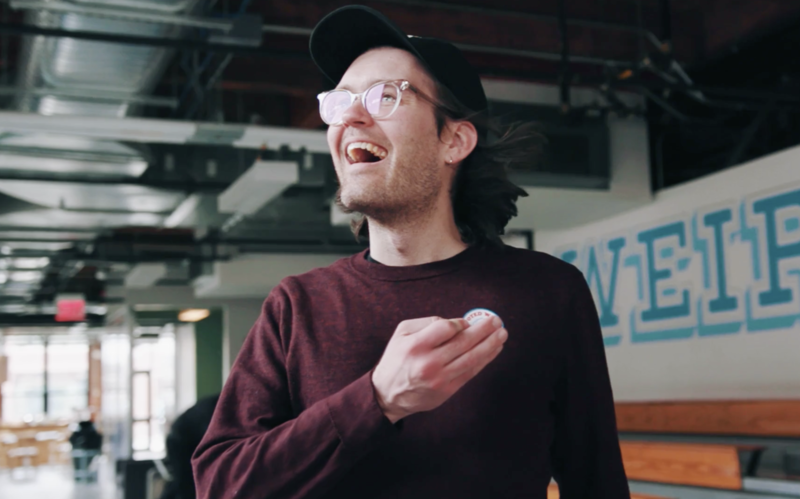 To promote our One, Ten, One Hundred video series, our CEO and co-founder Chris Savage wrote this tweet thread about what it takes to pull off an ambitious creative project at a tech company. One of the best parts about social media is the immediate access you have to people you know, have known, and want to know. If you’ve taken the time to cultivate a network, you’ll be able to ping your contacts for help with video promotion — as long as you promote other people’s good work as well. Rather than pay sites to promote your product, ask other marketers to do a casual content swap. You’d be surprised at how easy it is to arrange a deal when the favor is reciprocal. Send a few emails to marketers in your existing network, briefly explain why your video will be relevant to their audience, and offer to return the favor. You don’t even need to make formal agreements to create a word-of-mouth promotion system. You can start practicing reciprocity right away. When you see a video from a brand you admire, share it on your social media channels, and make sure to let them know. They might just do the same for you! You might think of SEO as something writers do, but SEO is increasingly important for video marketers. With 300 hours of video uploaded every minute to YouTube alone in 2018, the competition is stiff — and you want your video to be discoverable. If your video isn’t optimized for search, you’re missing out on traffic and leads, both now and in the future. How do you know your video is optimized for search? Well, first you have to consider which part of Google you’re optimizing for. 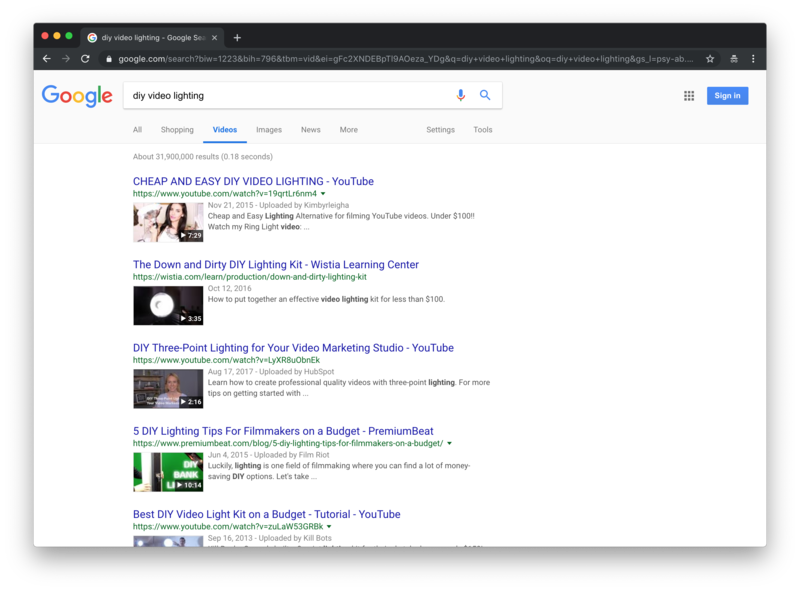 Some videos make it onto the main search page, but our resident SEO expert, Phil Nottingham, recommends going after the video tab on the results page. You might notice that Google tends to favor YouTube in search results, both on the main results page and in the video tab. If you’re OK with directing traffic to YouTube (as opposed to your company website), consider uploading your video there. But if you’re more focused on leads and owning that overall site traffic, we recommend using a video hosting platform and embedding the video on your site. Wistia’s player is SEO-optimized so that every video you embed loads super fast and is easily recognizable by Google. As a huge added bonus, leads won’t need to leave your site or sit through any ads. Add captions and/or upload a transcript, so search engines have plenty of text to crawl to find out what your video’s about. Like pinning a tweet to the top of your profile, using a video link as part of your social bio will draw people in who are interested in knowing more about your work. You can update your company’s “link in bio” any time, using this prime real estate to promote your latest, most-beloved videos. And depending on your personal follower count, you might want to consider promoting your videos on your personal profile as well. You can do this on Twitter, Instagram, LinkedIn, and Facebook, depending on which channels you use regularly to distribute your content and engage with potential customers. To spark discussions about your videos, find the online communities built around your topics of expertise. Facebook and Reddit are great places to start. 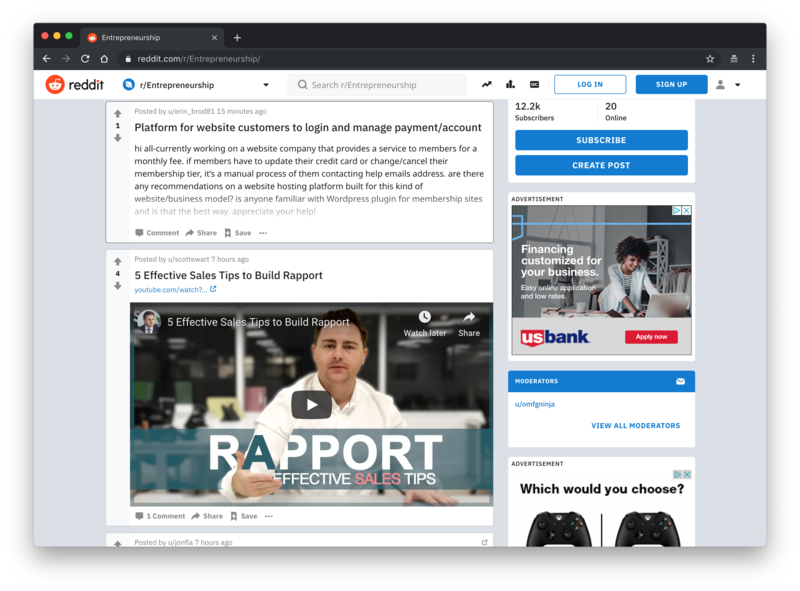 Look at how this video has a prominent place in the r/Entrepreneurship subreddit, which has over 12,000 subscribers! 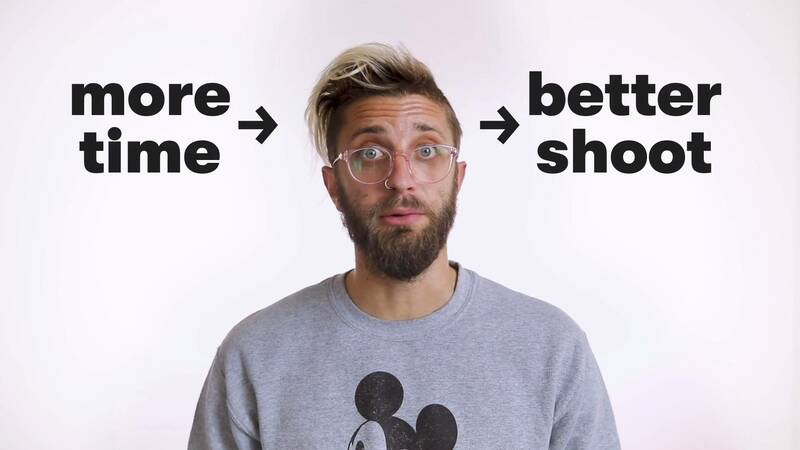 Not only will your video get seen by more people, but you’ll start to win credibility among people who care about the problems and products you’re working on. Start by commenting on other people’s posts, and then, when the time is right, you can post your content. Thanks to the goodwill and authority you’ve built up, people will notice your stuff! Videos are made to be enjoyed and shared by lots of people. When you put your video out there, over and over again, to new and returning audiences, you’ll start to see the social benefits of video marketing. Customers will start to recognize your team, other companies will be excited to collaborate, and your network will grow. So don’t hesitate, and start your video promotion efforts today! An abridged version of this post was originally published on March 11th, 2016.